Sometimes things happen just when you need them to happen. Call it coincidence, synchronicity, pure chance perhaps, but sometimes you need to take notice. I had one of those moments this month when I went to London to watch a screening of ‘Wonder’. 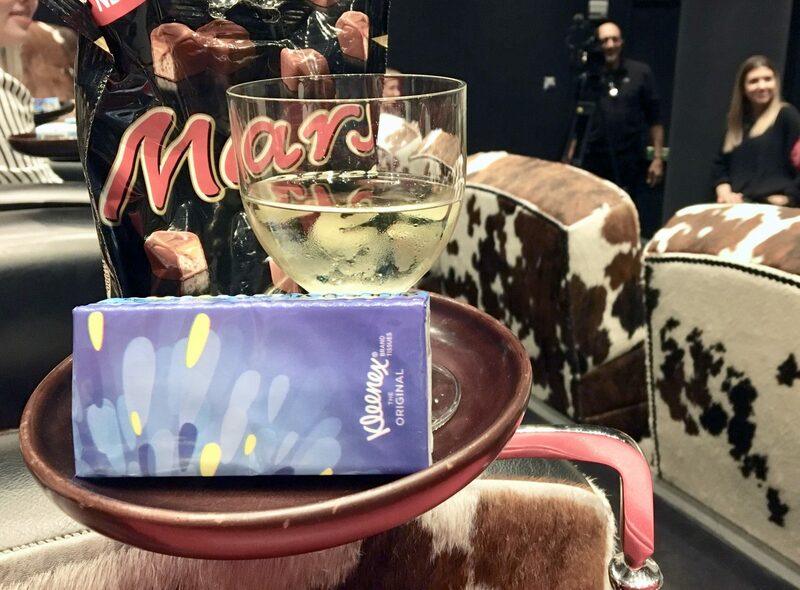 The screening was hosted by Kleenex® to mark the film’s release on 26th March on Digital Download, 4K UHD, Blu-ray and DVD, courtesy of Lionsgate Home Entertainment UK. You will need tissues for all the emotional moments of ‘Wonder’, unless you have a heart of actual stone, so you’ve been warned. Anyway, the timing was perfect for me as I feel like lately I’ve become a bit too concerned about my FACE. I don’t know whether it’s because I’m turning 40 next month, (who am I kidding, of course it’s that), but I seem to be spending more time than ever examining myself in the mirror and it never makes me feel good. I know I don’t especially look OLD, but I am noticing changes – new lines where there weren’t lines before, a softening of my jaw line, tiny veins around my nose. None of it matters, but when you start looking it can be hard to stop. What I needed then was a film like ‘Wonder’ to reassure me that who you are is not defined by how you look, and to make me realise that if a small boy like Auggie Pullman can deal with dozens of operations on his face and still be brave and funny and wise and kind then I can get over a couple of wrinkles. There’s a bit actually in the film that really stuck with me. It’s something that Auggie’s mum says, and you can hear it in this trailer. Auggie is having a hard time at school, and asks why he is so ugly. Auggie’s mum responds so perfectly, and in a way that we can all relate to. I mean sure, Auggie’s mum is played by Julia Roberts, and she genuinely never is ugly, but remember guys, it’s what’s on the INSIDE that counts. ‘Wonder’ is an absolute cracker of a film – a proper tonic for those days when you might feel like things aren’t going your way and you need a reminder of what really matters. I did cry, but it was a strangely uplifting mix of sad and happy tears. Sometimes I wasn’t even sure what sort they were, they were just the kind of tears you cry when you understand someone, if that makes sense? There were moments in the film, especially for me as a parent with Auggie’s mum, where you just felt the other characters, and couldn’t help but get emotional. If you’ve not seen ‘Wonder’ already, or even if you have, then you should definitely get yourself a copy. I feel like it’s one of those films that you could watch again and again and get something from every time. So stop obsessing about your face, (me), pour a glass of wine, grab the tissues and enjoy. Next Post What is the Relationship Between Massage and Yoga?